2018 has come and gone, a bit too quick and a bit too long. But nevertheless, the year has ended and we can take a look at how the Wrightsville Beach real estate market fared overall in 2018. *Data pulled from local MLS and is deemed to be reliable but is not guaranteed. Wrightsville Beach saw 42 single family residence homes close in 2018. The total listing volume of these closings equaled $61,917,000 and $57,951,999 in sold volume. The average asking price of these properties was $1,474,214 and the average sold price was $1,379,810. The median asking and sold prices of these homes were $1,322,500 and $1,250,000 respectively. Their average days on the market and the average cumulative days on the market were 223 and 232 days respectively with median days and cumulative days on the market of 56 and 88 days. These closings had an average sold price to list price ratio of 94.0% and a median ratio of 96.0%. Wrightsville Beach saw 70 condos and townhouses sell in 2018. The total listing volume of these closings equaled $54,463,149 and $51,982,900 in sold volume. The average asking price of these properties was $778,045 and the average sold price was $742,613. The median asking and sold prices of these homes were $725,000 and $697,000 respectively. Their average days on the market and the average cumulative days on the market were 145 and 190 days respectively with median days and cumulative days on the market of 66 and 74 days. These closings' sold price to list price ratios equaled 96.0% for both the average and median figures. 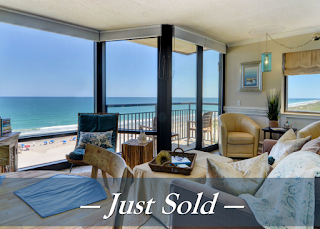 Real estate tides can shift just as easily as the tides at Wrightsville Beach. To stay on top of the Wrightsville Beach real estate market, request your own market report with weekly market updates and we will be happy to assist you! I thinks many people want to learn about how to buy a house like this. I believe that this property will cost a lot. For all properties like that, find out top real estate agents that may support sellers is also very important.